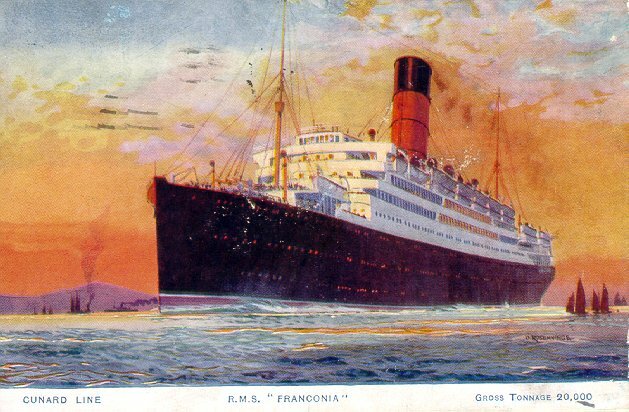 This Franconia, Cunard's second ship with that name, was launched in 1922 at John Brown & Co., of Clydebank. She made her maiden voyage from Liverpool to New York on 23 June 1923 and until 1933 she was generally used on that route in summer and spent winters cruising from New York to the Caribbean. She was painted white (as shown here) for a 1933 world cruise, after which she spent a year on the London-Southampton-New York route before returning to Liverpool in 1935. 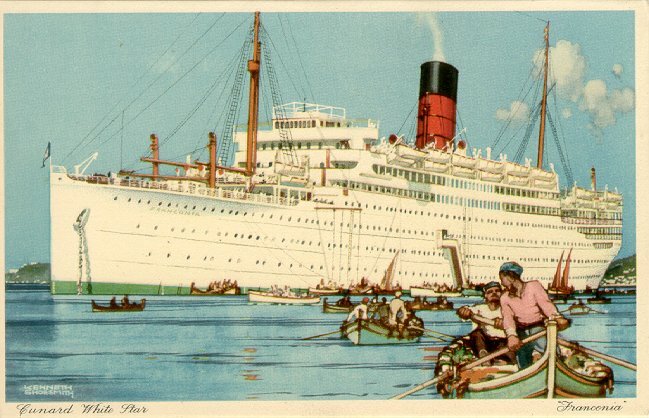 After another world cruise in 1938, Franconia was refitted as a troopship. During the war, she took part in the evacuations of Norway and France and the invasion of Sicily, and served as the headquarters ship at Yalta. In all, she carried nearly 150,000 troops and steamed over 300,000 miles in nearly 9 years. 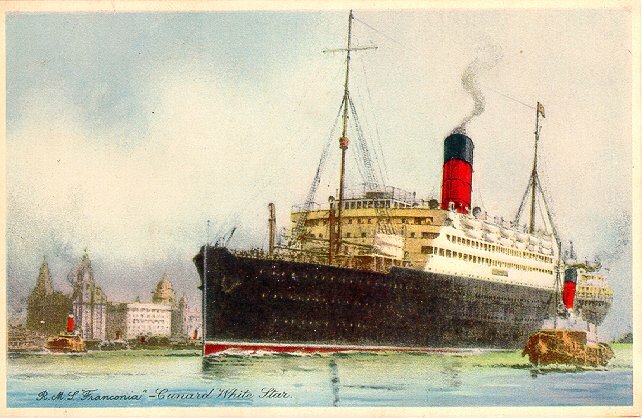 In 1949, Franconia returned to Cunard's service, on the Canada routes from Liverpool and (in 1955) Southampton. She also resumed her winter cruising. After a summer of cruises out of New York in 1956, she made her final transatlantic voyage, Liverpool-New York-Liverpool, in November, and was scrapped at Inverkeithing by Thos. W. Ward.